Wednesday the 2nd of May was the first Wednesday in preparation for the solemnity of the Assumption of the Virgin Mary. L-Erbgħat tal-Madonna or L-Erbgħat ta’ Santa Marija consist of fifteen Wednesdays that serve as a spiritual preparation for the feast of the Assumption. Archpriest Canon Reuben Micallef said Mass and preached at 7. 00 p.m. The Spigolatrici della Chiesa animated the evening Mass on Saturday the 26th of May. Before the Mass, an hour of Eucharistic Adoration was held in the Church. On Tuesday the 29th of May, the Commemoration of Edel Quinn was held. 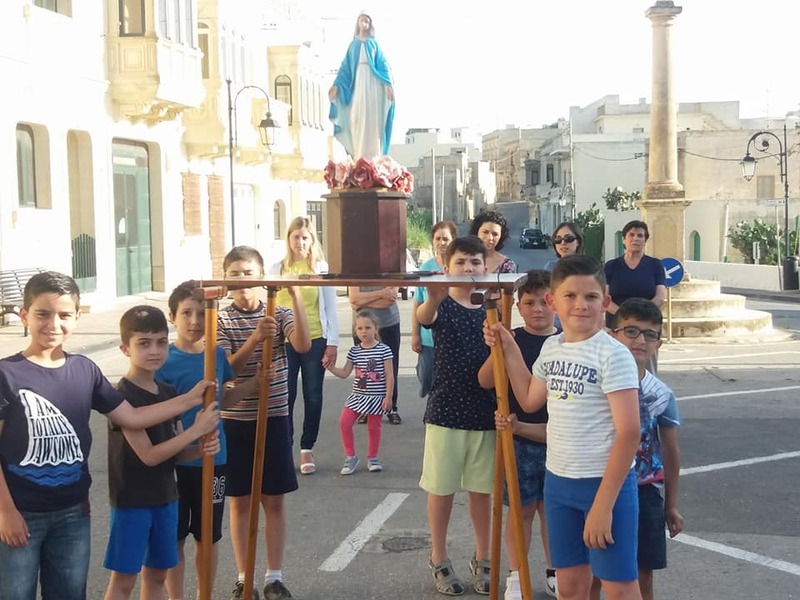 Canon Noel Saliba preached during the Mass at 7.00 p.m.
On Thursday the 31st of May, at 6.00 p.m. the children who attend the catechesis lessons known locally as id-duttrina gathered at the MUSEUM and took part in the procession with the statue of Our Lady to conclude the month of May dedicated to the Blessed Virgin Mary. The occasion commemorated also the end of the catechetical year. 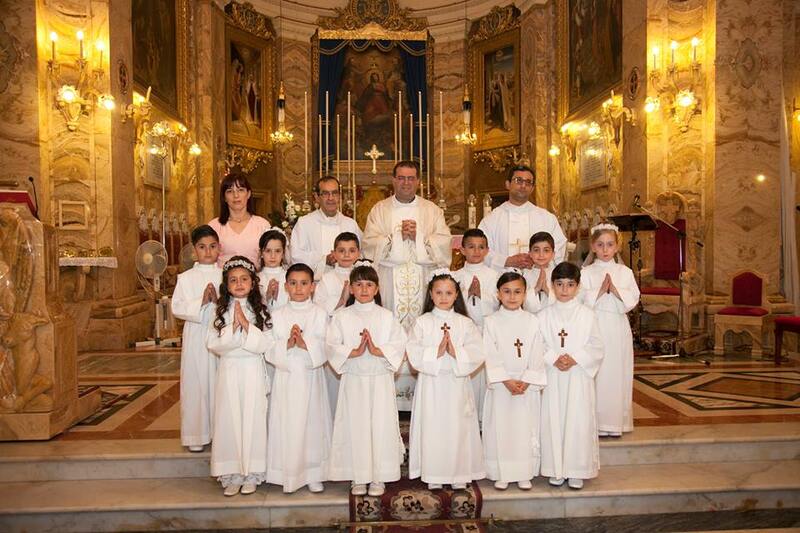 On Sunday the 3rd of June, Solemnity of the Body and the Blood of Our Lord Jesus Christ, at 4.00 p.m. Archpriest Canon Reuben Micallef said Mass during which the First Holy Communion was distributed.